You may be a student, parent, teacher or senior. You may be someone who wants to stay connected to their roots and learn about Philippine culture. You may love sharing in the joy of contributing to the learning experience of our students or maybe you’re looking for an opportunity to commit a few weeks or months. Great news! In New York and New Jersey, our organization is hard at work to making sure that individuals can participate in The Filipino School of New York & New Jersey in the ways they want to! We welcome any individual whose expertise, skills, interests, life experience, and availability match our many volunteer opportunities, and who enjoy working collectively with other volunteers and staff to nurture each other’s individual qualities. We offer several exciting, flexible volunteer opportunities through which adults can participate in. Whether you choose to work directly or indirectly with the students on a short-term or long-term basis, you will get all the instruction, guidance, and support that you will need to fulfill the responsibilities of your volunteer role successfully as you guide students through their experience at The Filipino School of New York & New Jersey. 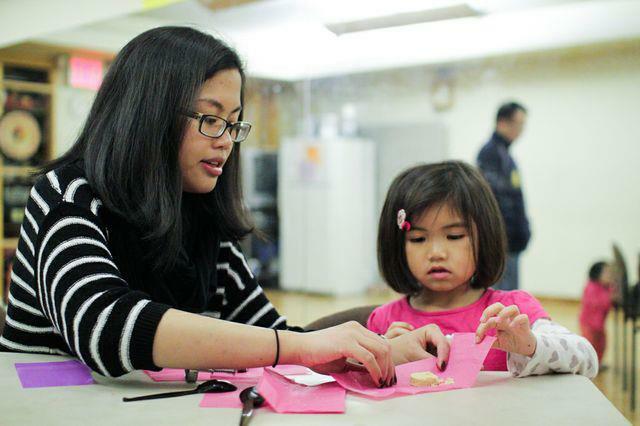 If you would like to become a volunteer but cannot commit to a regular schedule, you can choose a pathway that allows you to fit The Filipino School of New York & New Jersey into your lifestyle, whether it is once a month, weekends, evenings, or at a particular time of year. To find out about the different rewarding volunteer opportunities that are available, contact us today!